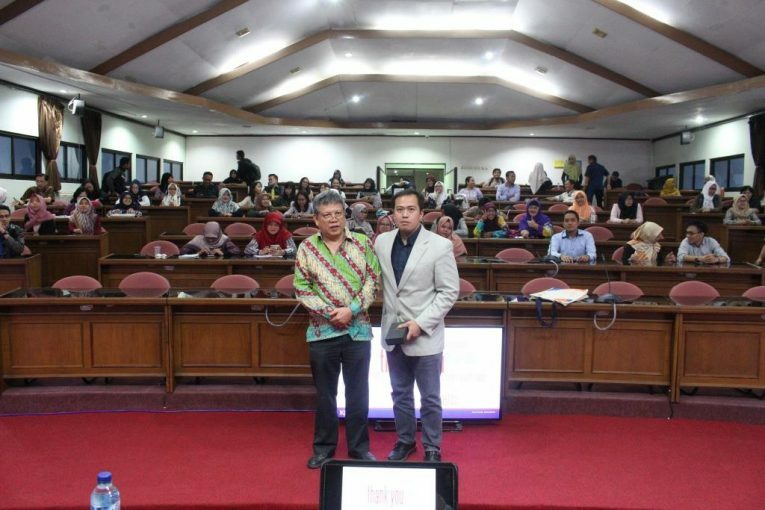 On August 6th 2018 MD FEB-UGM held a guest lecture at the BRI Auditorium on 3rd floor of MD FEB-UGM building. The seminar themed “Insight into the World of Academic Research: Facing Challenges and Taking Opportunities”. The guest lecture was presented by Professor Adi Masli, a lecturer from the University of Kansas, who had published many articles in top journals such as: The Accounting Review, Journal of Accounting, Auditing and Finance, International Journal of Accounting and Information Systems, and many more. Professor Jogiyanto Hartono, Ph.D, the coordinator of MD FEB-UGM taking part as a moderator in this event. In his explanation, Professor Adi Masli delivered two important things in the guest lecture. The first one is related to some insights in accounting research, and the second one is about how to write a good article so it can be published in a reputable and international journals. Professor Adi Masli delivering the topic by using his own experience in publishing articles in various journals. The key point when writing a research paper is to have a passion in research, and at the same time inculcated curiosity. Moreover, the person has to continuously study and enjoy the research and writing process. No giving up and making a collaborative research in team are also important in terms of producing an excellent research paper. A good research is build from the novelty of idea creation. There are some sources to produce a good research idea, such as reviewing the previous study (not limited to our own discipline, but also in multi-discipline), idea shopping from magazine and newspaper, discussing with relevant person (e.g. academics, practitioner), attend a conference, and personal experience.